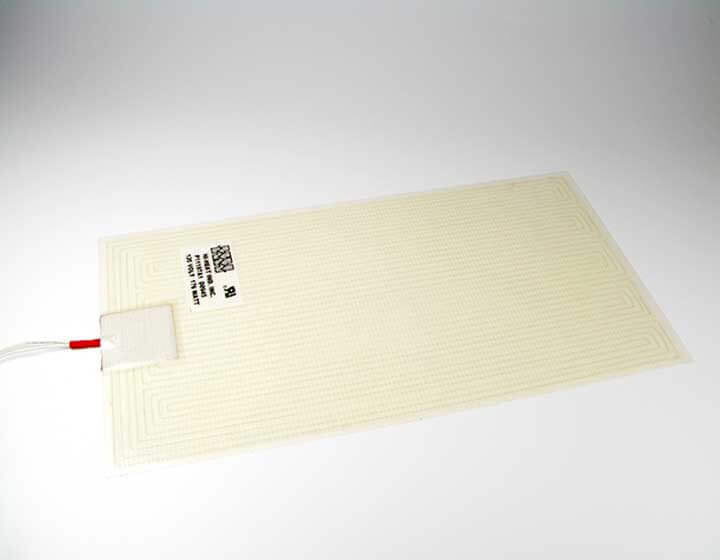 Polyester heaters can be custom designed and manufactured to fit your application. These are for low temperature applications; the maximum surface temperature for the polyester heater is 105°C (221°F). Industry applications include medical equipment, restaurant equipment, warming batteries and deicing. 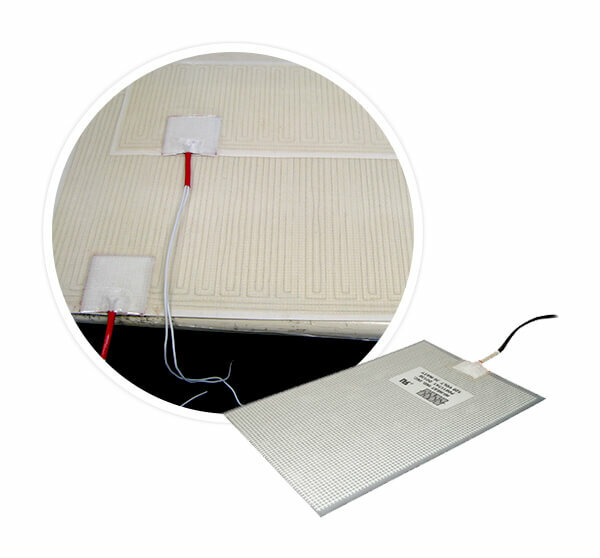 In some cases polyester heaters can be more economical than silicone rubber heaters. Select a polyester heater to learn more. The etched foil element has superior heat transfer and exceptionally uniform heat output, resulting in a faster warm-up cycle and longer life. 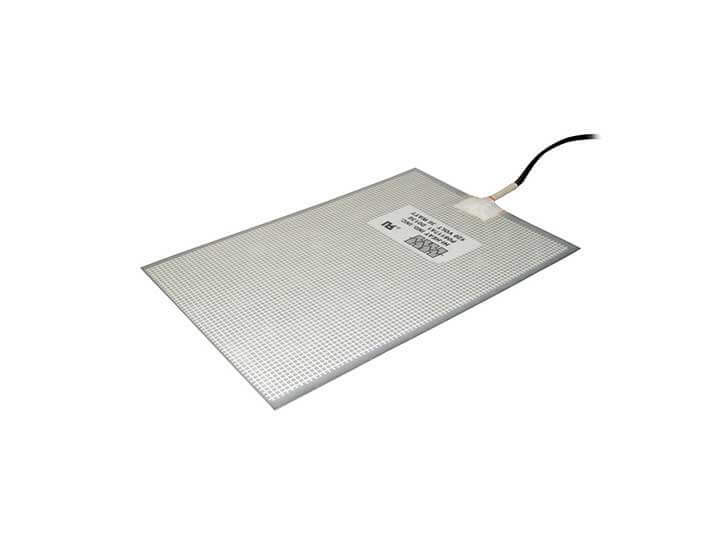 Use this polyester heating element on flat or gently curved surfaces to cover large areas with even heat. Due to the resistance limits of the foil materials, as circuits become larger, the economics of foil versus resistance wire become less attractive. Polyester film heating elements have a maximum surface temperature of 105°C (221° F). 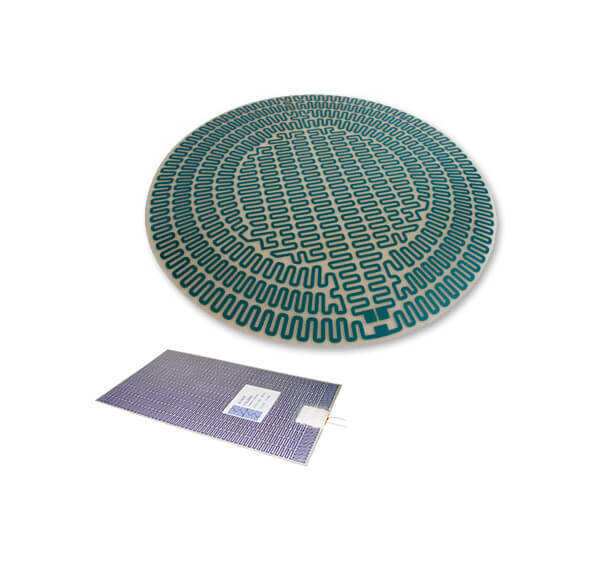 They are used on flat or gently curved surfaces to cover large areas with even heat. Polyester film heaters can be designed and fabricated in many configurations to fit the size and shape required in your application. A fine nickel-chromium alloy wire is spiraled onto a center core of fiberglass, producing a strong, flexible heating element. Electronically-controlled precision winding equipment ensures consistency.